With this post I will be taking a look at Michishige Sayumi as a personality and what she brought to a certain era in time as a member of Morning Musume. You do not have to agree with what is said, nor do you have to believe what is written here; this is purely speculation on my part and also theory. I can be very wrong, or I can be a little bit right. Either way, take this post as you will, but remember that my opinion is my own. Thank you. *About this Series: [A Week with Sayu] is a week-long series dedicated to Michishige Sayumi on her impending graduation from the group Morning Musume. The intention with this series is to focus on Sayumi as an Idol, personality and member of the group she loves dearly, allowing for me to take a closer look at how she has grown as an Idol since her debut up until her graduation. To do this I will be looking at both past and present forms of work that she has done in her 11 year career, some I have previously loved and some I may have ignored. By the end of this series, I hope to have had a better look at Sayumi as well as seen how she has evolved and progressed as the Idol we know today called Michishige Sayumi. Thank you. When looking back on Michishige Sayumi and her 11 year career within Morning Musume, I can't help but notice that, unlike Tanaka Reina, there is one giant gap where Sayu does literally nothing of note because she is just... there. Originally I planned not to talk about the Platinum era. No songs, no PV's; Nothing. As I said, Sayu does nothing of note during this point in time as it was, and I quote this from a dear friend on Facebook '... that period when Sayu was just one gigantic zit' or to clarify more clearly (thanks to another friend), '"... just a bump in a group of amazing members"... And in a way I agree; they are, effectively, right. 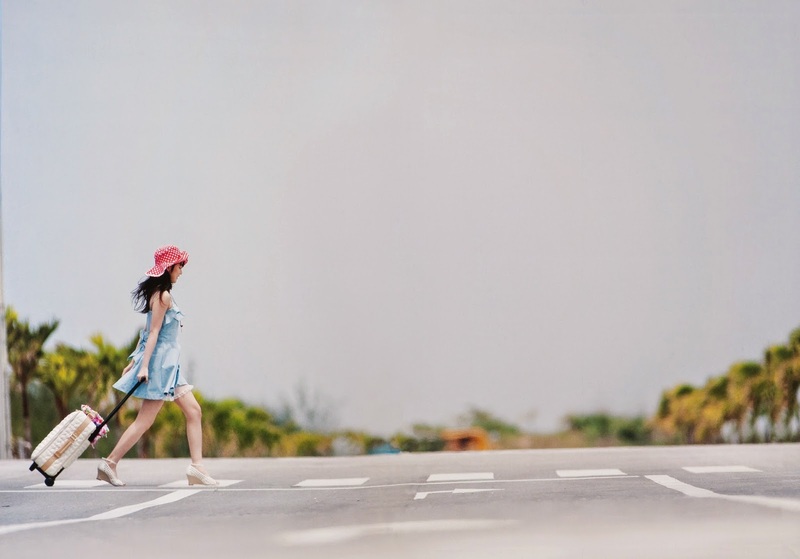 Sayumi was the bump in the road and we can't really deny that. It's hurtful to think about Sayumi that way, but it's understandable as well - in such a vast pool of vocal and visual talent, where does a girl like Sayumi fit? This was the era, the one where nearly all of the girls were extremely talented, their presence within the group solid and dominant as the powerhouses lined up at the front as Koharu stood at the ready to serve as the visual appeal. And then there's Sayumi in the back next to Aika, Junjun and Linlin, serving Ah's, Uh's and any other disgruntled noises she was clearly pissed off about receiving that we call solo 'lines'. And yet despite all of this background shafting she was getting back in the day, I regard Michishige Sayumi as one of the most important members of the Platinum Era no matter how pitiful that time was for her, because goddamnit, in the days of Stale-Bread Musume, Shige made it worthwhile! Let's talk about it! It's true that in terms of her vocal and visual presence, Sayumi really was thrown scraps instead of a bone - her most notable roles vocally were Yowamushi and It's You respectively - but at the very beginning of the Platinum era in 2007 there was something else, something integral to Morning Musume's future after the Platinum era ended in 2010, that Sayumi did during these years to really allow her to flourish as an Idol and an entertainer professionally. Where others brought vocal talent to the group, increasing their performance ability and being noted as the groups most talented bunch as a whole, Sayumi brought them some form of recognition, even if it was only a smidgen. When it came to Media presence, Sayumi was definitely the girl that was keeping their name afloat. It was radio that started it - when Fujimoto Miki gracefully outed herself on her slot with Young Town radio, Sayumi was the one to pick up the slack in her steed. She already had her own radio show at that point since the year prior, Konya mo Usa-chan Peace, as well as participated on other shows prior to this, but I feel that it was Young Town's co-hosting slot that allowed Sayumi to really flourish and become more well known. The show has been around since 1992, whilst Sayumi only had a year or so with her own radio slot, and so allowed for the Idol to branch out in radio whilst also gaining the opportunity to gain a bigger following as well as a better chance to promote any up-coming releases or tours for Morning Musume. With this in mind, I feel that from the start of the era Sayumi became one of the biggest voices within the entire group, speaking for them and constantly bringing their existence to light. I suppose one could say that she was in the shadows; she was there, her voice heard and recognisable, but she was not really seen despite the impact she had on the public. Her talent as a singer was close to nothing compared to anyone else's in Morning Musume, a thorn among singing roses if you will, and yet she was on her way forward unlike the other members. 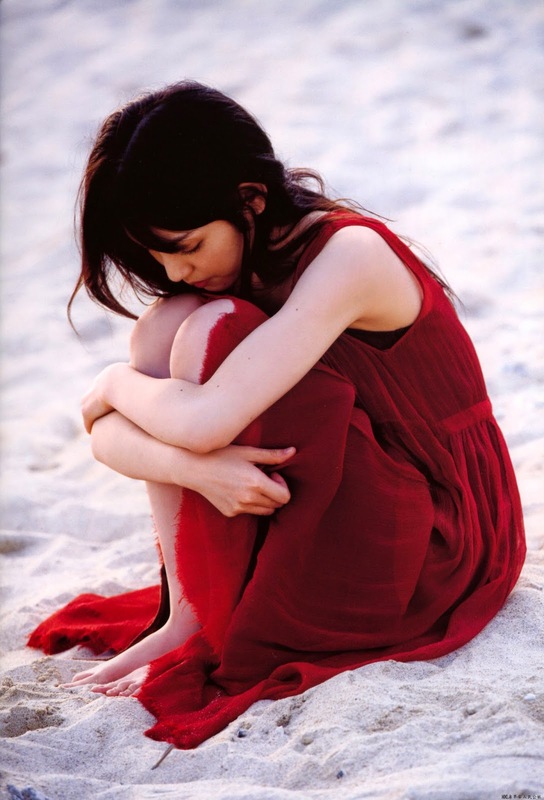 Michishige Sayumi worked behind closed doors, rarely seen or heard as a member of the group itself, but far from sitting on her hands as she waited for someone else like her managers to give her the push she somehow managed to take it on her own and push herself ahead of everyone else whilst also pushing Morning Musume forward, never really leaving them behind. For someone who you could say worked alone, it was clear that no matter what, Morning Musume was always in Sayumi's thoughts because she never put them after herself. 2009 was when her career in TV really took off for Sayumi; after her stint in radio for two years, which she has kept up with until her impending graduation date, it was this year that really showed off her diverse talent in a visual format other than that of a music video: Michishige Sayumi became a personality and stepped up from her Idol status considerably, and through this became a recognisable entertainer to the public as well as a household name all by herself. When watching her some would say her presence was annoying whilst others would enjoy what Sayumi brought to the show, whether it be her poison tongue or Ichiban Kawaii character, but it was undeniable that Sayumi's sudden emergence of popularity through TV never went unnoticed - she was addictive, toxic even, and soon she became one of the most adored members of Morning Musume as well as a top contender for the most abhorred public female figure in Japan. Of course she had competition, but Sayumi had become well known. Even if it was for a notorious reason. Much like one would pull a suitcase behind them, Sayumi was the member that was pulling Morning Musume along with her as she made her way up on TV and in Radio - her voice kept them afloat, even if it wasn't in singing. She made sure that they were known during a time where the group was in desperate decline, where the public payed them little to no attention as their own agency failed to promote and properly produce them. For Sayumi, it was up to her to promote and push the group she loved that she had become a part of years ago; she never left them behind her, not in favour of her flourishing TV and Radio career, but instead brought them along with her so that they could still be known. With her best foot forward, Sayumi alone managed to keep the ever-stale Platinum era in the light where it concerned the growing media and Idol industry, even if it was only a little bit. Even if it was a small amount, Sayumi still managed to increase the knowledge of Morning Musume's existence to the public. When we look at the Platinum era on the surface it is true that we don't really see or hear Michishige Sayumi because her presence is shadowed. There were bigger, better singers and girls with more popularity than she had back then, with her talent by far the worst of them all. And yet through it all she managed to pave her way in the Media industry as the one voice in all of Morning Musume who would let their name be known, never allowing them to die when they were at a point in their career going downhill, public interest lost and nearly non-existent. For a member who was so far in the background she was almost as non-existent as Aika, Junjun and Linlin, Sayumi still managed to become one of the most well-known member thanks to her own notoriety around Japan. Paving the way for even the future generations of Morning Musume, the Platinum era was quite possibly one of the most important times in Sayumi's career as an Idol. Where she could have simply sat in the back, waiting for the day she would receive solo lines and be given the recognition she deserved, she decided to take the reigns for herself and become the one member that Morning Musume needed the most in their time of need, working in the shadows, but always allowing herself to be heard. With the group she loves standing beside her, Michishige Sayumi never let them fall. Remember that. Hello Chiima! I've been a quiet lurker/reader of your blog for some time but thought I'll pop out to comment with you writing this series on Sayu. I nearly (note, nearly) got teary-eyed reading this, it's a beautiful piece and I agree, Sayu really did a lot behind the scenes during this period of MM. She put MM's name out there to keep them relevant when their popularity was an all-time low, and I think that was what really made her lead the Colorful Era the way she did and all the TV appearances. Hello Chanting, welcome to the comment section of the blog! Reading your comment has made me very happy, I'm glad that you enjoyed this piece especially regarding the Week with Sayu series! I'm so glad you decided to comment, it's really made my evening! She made such an effort, and yes, it shows now with the Colorful Era and how well she has promoted the new members. Sayumi in the Platinum era, she was far more important than we give her credit for! Definitely agree with giving her more credit. You're quite right in saying that she was rather overshadowed compared to the other girls during Platinum Era, as that's what happened to me when I got into the fandom (around 2006) so I didn't really recognise her effort until I read interviews and her $10,000 yen a month challenge. I didn't know much about her effort either until I watched shows and read interviews and, also, that 10,000 yen a month challenge! But when you realise this sort of thing, we appreciate her more I think. Get Yo Cake On! Let the Cake Day Bizarre BEGIN!! !